The last ten years has seen vascular imaging of the central nervous system (CNS) evolve from fairly crude, invasive procedures to more advanced imaging methods that are safer, faster, and more precise—with computed tomographic (CT) and magnetic resonance (MR) imaging methods playing a special role in these advances. Vascular Imaging of the Central Nervous System is the first full-length reference text that shows radiologists—especially neuroradiologists—how to optimize the use of the many techniques available in order to increase the sensitivity and specificity of vascular imaging, thereby improving the diagnosis and treatment of individual patients. Each chapter is formatted carefully and divided into two essential parts: The first part describes the physical principles underlying each imaging technique, along potential associated artifacts and pitfalls; the second part addresses clinical applications and novel applications of each method. 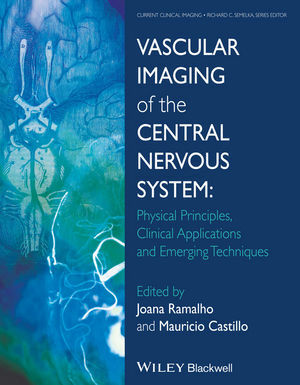 Along with numerous illustrations and case studies, Vascular Imaging of the Central Nervous System: Physical Principles, Clinical Applications, and Emerging Techniques is an important book for those faced with choosing from the wide range of choices available for clinical practice.